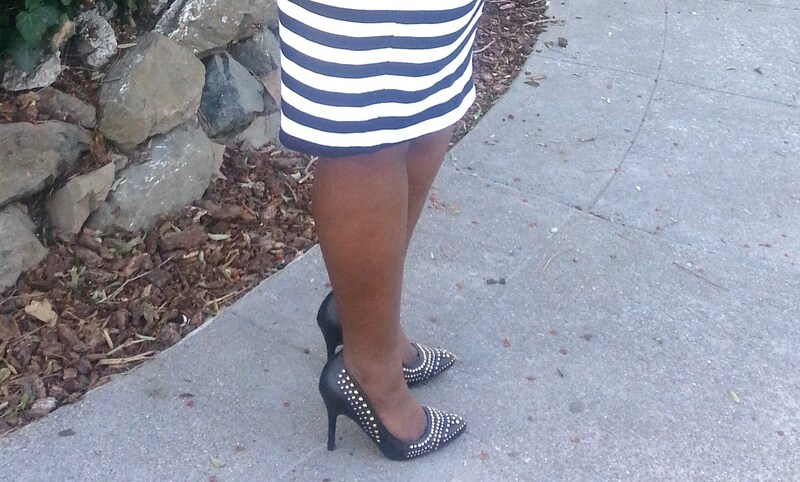 I was inspired by one of the Style Bloggers that I follow to recreate her stylish Black and White Striped outfit. 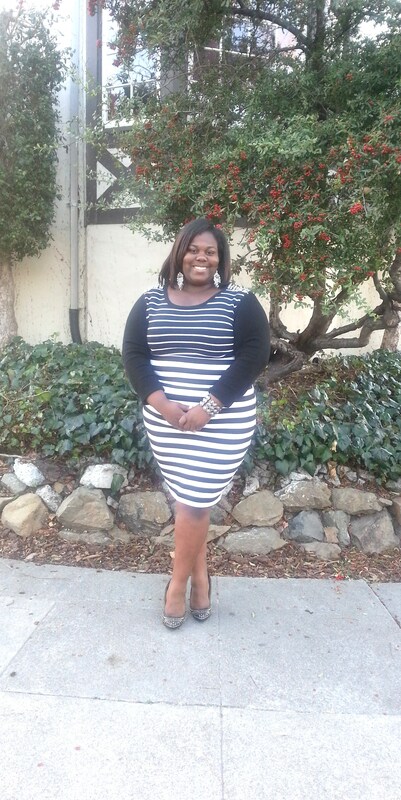 I really love that fact that “InmyJoi” shows off her curves with her tight skirt and mixed print striped shirt. When I saw this stylish outfit, I had to recreate it! I found my entire outfit on Black Friday by accident; I was shopping with my friends. When I walked in Torrid the skirt was calling my name, but I was mad that I couldn’t find a top right away. Since I was determined, I found a similar top to “InmyJoi” from Lane Bryant. To get the full look I decided to get a size smaller in the top, so it could fit tighter, but the skirt is true to size. 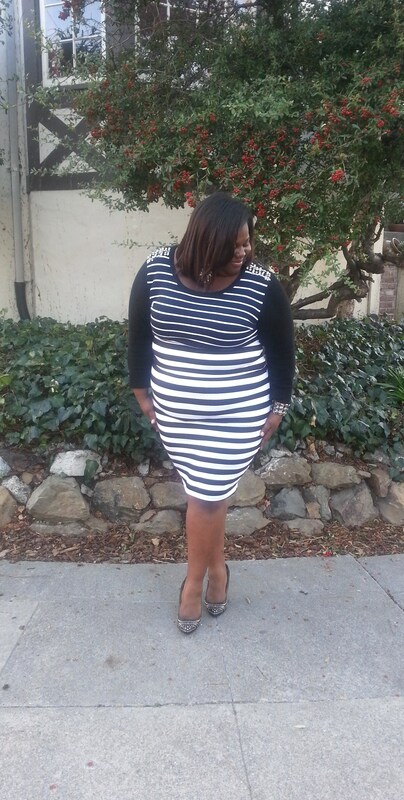 Just saw you on my blogger friend “In My Joi” and came to read more. . .you are so rockin’ the stripes here and you look GREAT. I’ll be back. 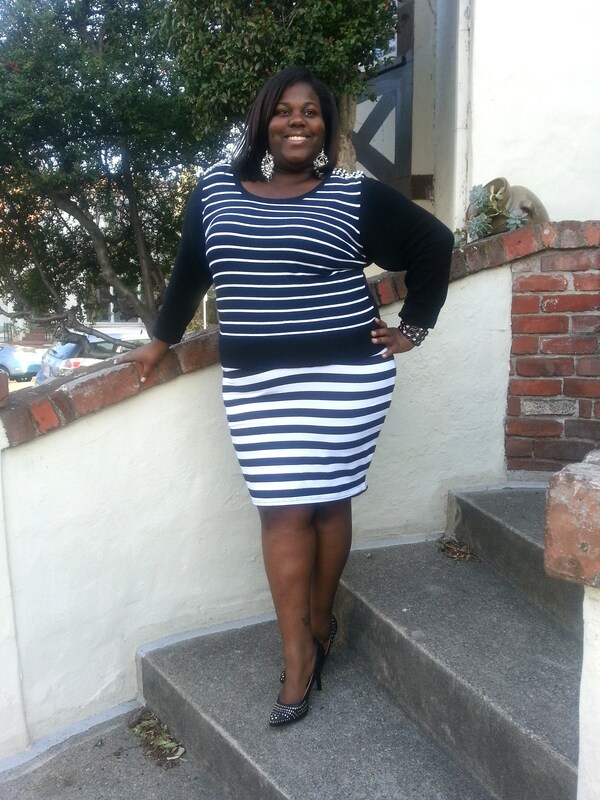 . .
Found your blog as we’d been featured on curvyfashionista. And yes we too as curvy women are dime pieces and deserve the best! I’m so excited for your comment! Greetings all the way from South Africa, you have truly made my day. Thank you for checking out my blog and I hope you enjoy it. Yes, the curvy woman is all over the world and I love it all. Thank you so much for the lovely comments. I’m so happy that I have inspired you to step out your comfort zone. I would love to see what your online boutique offers. I am a size 20/22 just depends on what it is. Just let me know.